I am a Morrison Fellow at the Astronomy and Astrophysics Department of UCSC. I work on exoplanet characterisation using high-dispersion spectroscopy. 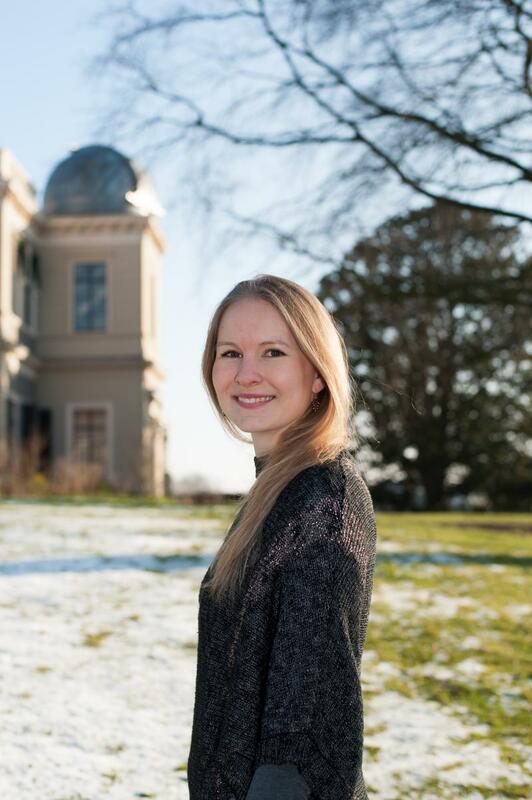 I have previously worked as a PhD candidate at Leiden Observatory in the exoplanet group led by Ignas Snellen. Planets have been discovered orbiting around more than a thousand different stars in our galaxy. We call these foreign worlds exoplanets or extrasolar planets. My research focuses on characterising their atmospheres using high-resolution spectroscopy from ground-based telescopes (as opposed to satellite observations). Knowledge of the composition and physical properties of exoplanetary atmospheres will promote our understanding of how planetary systems form and evolve. With current instrumentation and techniques we are capable of studying the atmospheres of the largest and hottest exoplanets: the hot Jupiters and the young gas giants. I am interested in pushing the boundaries by developing new observational techniques and methods for data analysis that in the future will allow characterisation of smaller and cooler planets similar to the Earth - and maybe one day detect life! A special focus of mine is the spin evolution of young giant planets and brown dwarf companions. By observing these objects at high spectral resolution it is possible to measure the broadening of the spectral lines which is due to rotation. I aim to perform a comparative study of their rotational velocities in order to understand the connections between the spin rate, the planetary mass, the system age and the orbital distance of the planet.